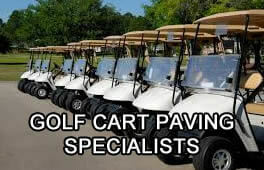 Complete and professional chip and seal services for driveways. Asphalt requires periodic sealing and repairs, while the chip and seal method requires relatively no maintenance. Cities such as Milwaukee have had lots of success with chip and seal driving surfaces. This is due to careful snow removal techniques. With a chip and seal driveway you cannot use aggressive snow removal methods. The longevity of a chip and seal surface depends on leaving about 1/2” of snow on the surface and not scraping down on the road bed with a snow plow. What the chip and seal method is is the use of liquid asphalt heated and sprayed over a gravel base. While it may seem like an easy process, it still requires an experienced contractor to ensure proper surface applications. Chip and seal is offered in a variety of color options so you can choose a material that gives you the exact look that you want. All the stone used offers high durability and a rough surface which provides more grip in wet or snowy weather.